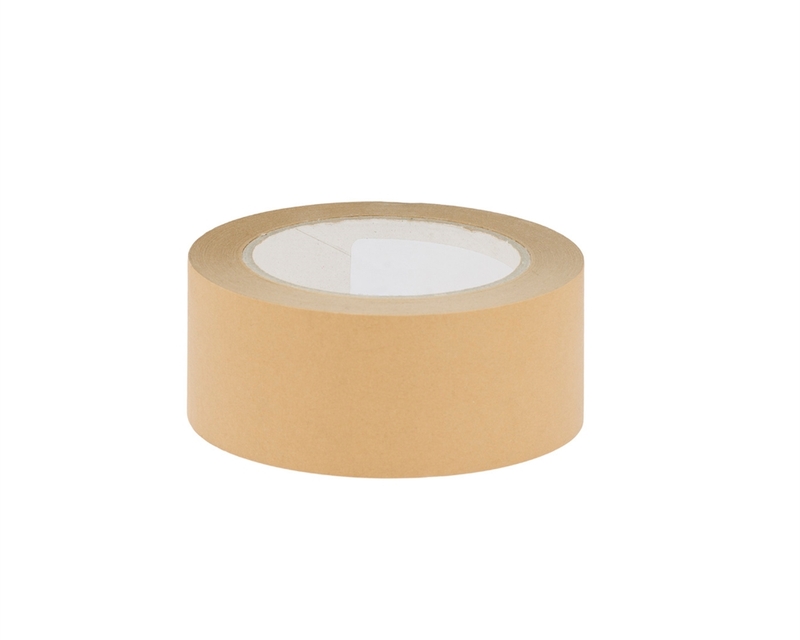 Embrace eco-friendly packaging with our self-adhesive Kraft tape! Recycled and biodegradable, our self-adhesive paper tape adheres to all surfaces and is resistant to humidity and moisture. Discover our paper tape, a quick, eco-friendly and cost-effective alternative to regular tape! If you are looking for the best eco-friendly packing tape, this is it. Your customers will be able to recycle your box without any effort, just throw it to the paper recycling bin. It is not necessary to separate the tape from the cardboard box like with other plastic tapes. It is made of Kraft paper and Hot Melt adhesive, which is an excellent solution for packing and sealing corrugated cardboard boxes with a strong adhesion in high and low temperatures.